In its first match following the 2018 FIFA World Cup Final in Russia, Croatia faced European champions Portugal and secured a 1:1 draw. Portugal: Rui Patricio, Rui, Dias, Pepe, Cancelo, Carvalho (81' Oliveira), Neves (86' Sanches), Pizzi (61' Fernandes), Bruma (68' Lopes), Bernardo (46' Martins), Andre Silva (89' Gedson). Head coach: F: Santos. Croatia: L. Kalinić, Barišić, Mitrović, Vida (35' Jedvaj), Vrsaljko (46' Milić), Badelj, Kovačić, Modrić (55' Pašalić), Perišić (63' Čop), Pjaca (72' Rog), Livaja (57' Santini). Head coach: Z. Dalić. The silver-winning Vatreni, under the leadership of head coach Zlatko Dalić, accepted new challenges at Portugal, in an international friendly against a team that managed to beat Croatia in all four previous meetings, without conceding a goal. 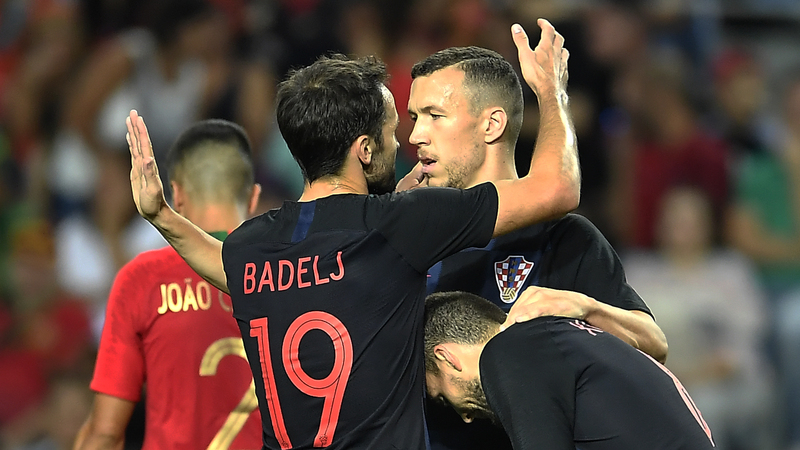 In the opening minutes, Croatia goalkeeper Kalinić provided three quality interventions, but Kovačić and Badelj soon responded with dangerous efforts. On 18 minutes, it was Perišić who smashed home a great volley to break the tradition and secured Croatia's lead. However, with half an hour played, Vida was injured and stretchered off minutes later - and in the meantime Pizzi crossed for Portugal captain Pepe, whose header is on target. As the second half resumed, Perišić tried a header from close range, but it was Portugal who took the initiative and was searching for the second, game-winning goal. 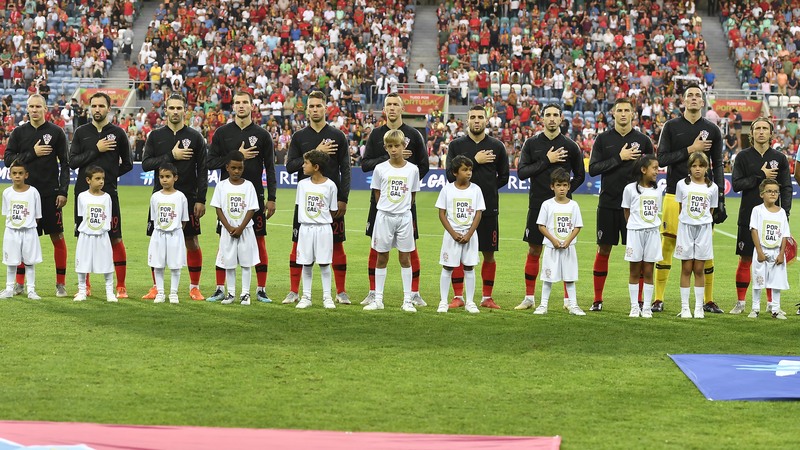 The hosts created several opportunites in front of Kalinić, yet Croatia's defence stood firm, blocking shots, with the Portuguese shooting wide on some occasions. On 77 minutes, Portugal hit the woodwoork as Croatia's debutant Milić deflected a cross into a post. Both managers used all of their six substitutions and tested as many players as possible as Portugal and Croatia await UEFA Nations League debuts - Portugal against Italy, and Croatia at Spain, on 11 September. Croatia head coach Zlatko Dalić and international right-back Šime Vrsaljko spoke to the press on the eve of the Portugal friendly in Faro. "I look forward to a new challenge, even though we're missing seven players in total. Portugal and Spain encounters are important matches for Croatia, and we are always aiming to win. Despite lack of form, the match against Portugal will be a good test, especially for the new players in our team. We'll use all six substitutions, with L. Kalinić, Vrsaljko, Vida, Mitrović, Barišić, Badelj, Kovačić, Modrić, Perišić, Pjaca and Livaja in the starting lineup. In the end, the European qualifiers and EURO 2020 remain are main objective. It would be an even better match if Ronaldo should play, and I am sorry that there were wrongly presented comments - he is one of the best players in the world, one of the best of all time, and I have nothing against him"
"The key is to be a real team on the field of play, regardless of the lack of form. Of course, it will be a tough match at Portugal, but I believe we can look good after quality preparations. It's always nice to meet Croatia teammates, especially now when we have beautiful recent memories from Russia. This has to be extra motivation"